Thanks to its convenient position close to the beach and a few minutes walk from the center, as well as very good connected with the main attractions of the Golf of Naples, Villa Sirena offers to the guests a lot of possibilities. From Villa Sirena it is also possible to reach Positano, Amalfi and Ravello by bus or easily get on a train to Pompeii ruins and Herculaneum. Within a few steps from Villa Sirena it is possible to reach the historic center of Sorrento, the birth town of the 500 century poet Torquato Tasso. Blend of history and tradition, in the city center is possible to admire the Ancient Walls and taste the typical homemade Limoncello. On top of the many touristic attractions and destinations, you can dive in the sea of Marina Piccola and Marina Grande or enjoy the outstanding view of the Gulf of Naples from the Villa Comunale. Walking distance from Villa Sirena you can reach one of the highlights of the Sorrento Peninsula: it is the uncontaminated salty water basin of Queen Giovanna, located on the very point of the peninsula, which offers to the visitors the opportunity to enjoy one of the most suggestive landscapes. The name, according to the legend, dates back to Queen Giovanna d’Angiò, sovereign of Naples, who was on holiday in this little corner of paradise. History, legend and nature come together again in a breathtaking scenery. 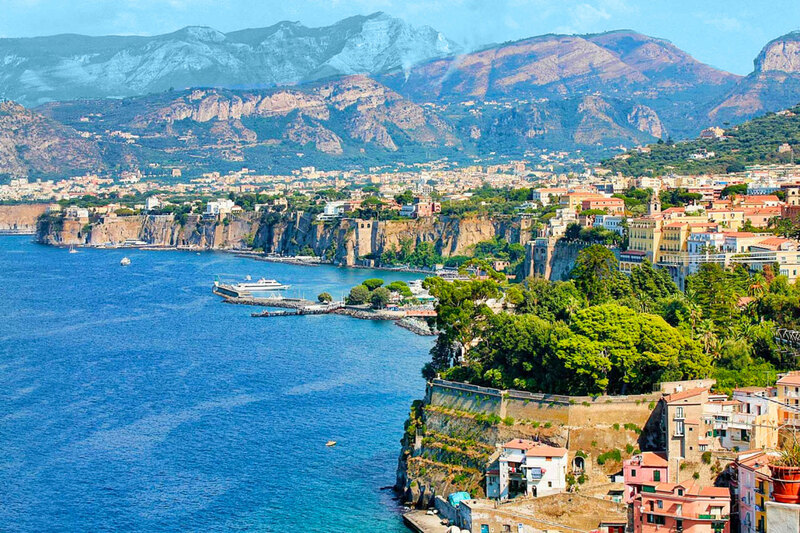 Overlooking the Sorrento Peninsula shines one of the most fascinating islands of the gulf. 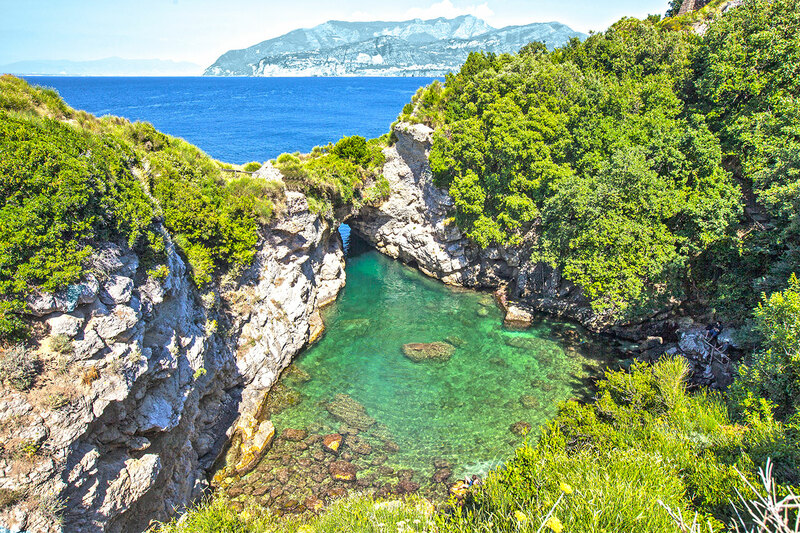 The beautiful landscapes and the history of Capri and Anacapri attract and charm visitors worldwide. Restaurants and bars, boat rides and the Blue Grotto are just some of the worth stops that the island offers. Capri Island is well known for the quality shopping in the exclusive and unique boutiques, but also for the crystalline water beaches and the opportunity of a relaxing and peaceful vacation. 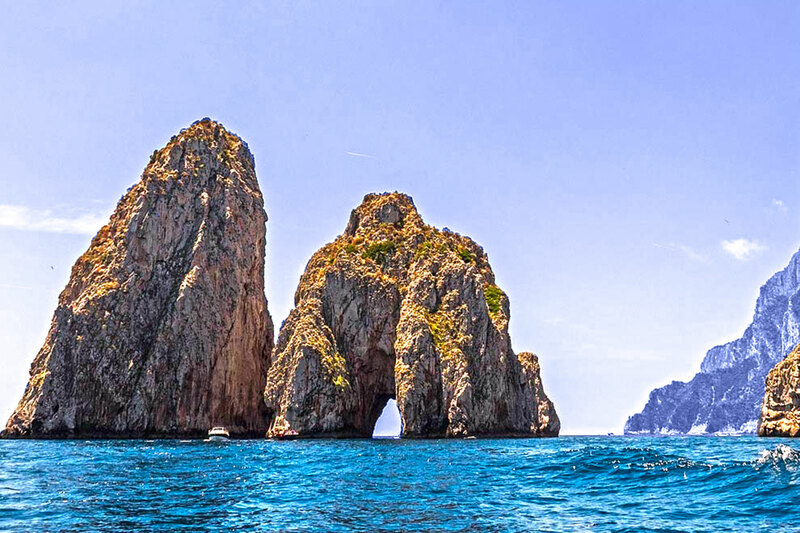 It is possible to reach the island by hydrofoils connecting Capri to Naples and Sorrento. 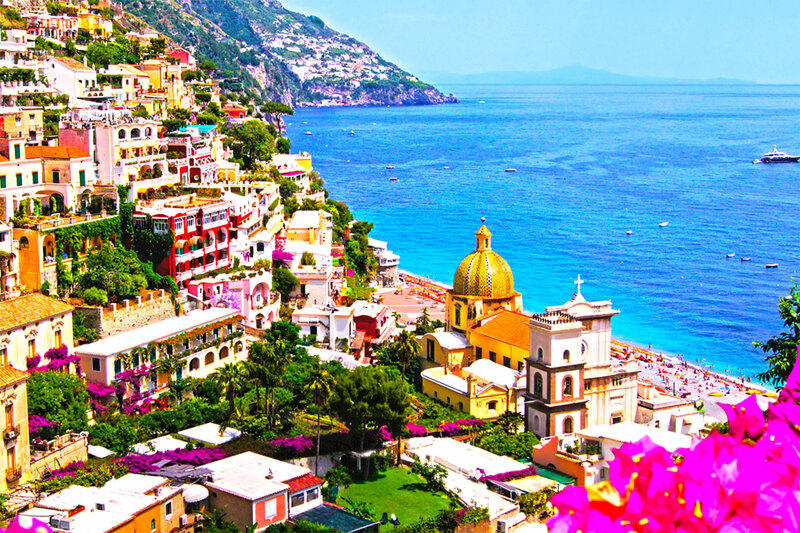 Within a few kilometers from Villa Sirena shines one of the gems of the province of Salerno: Positano. Not only plenty of characteristics and one of the most breathtaking view of the entire gulf, from Positano you can start a trekking adventure on the world known Path of the Gods. Following a little further along the coast to find the neighboring town of Amalfi, perfect to relax on the famous Fornillo beach and great chance to taste typical dishes right by the sea side. The Municipality of Positano is connected by bus and ferry. Villa Sirena is not many kilometers away from the town of Amalfi, which names the long coast that stretches from Vietri sul Mare to Punta Campanella. 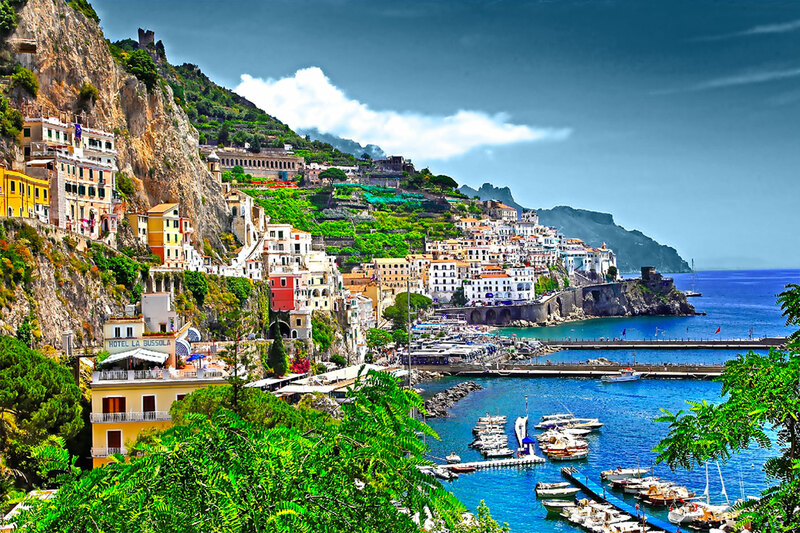 The guest will have the opportunity to visit the stunning Smeraldo Grotto and the Paper Museum, and proceed to the neighboring towns of Positano and Ravello. From Villa Sirena to Amalfi there are bus services and ferry rides. 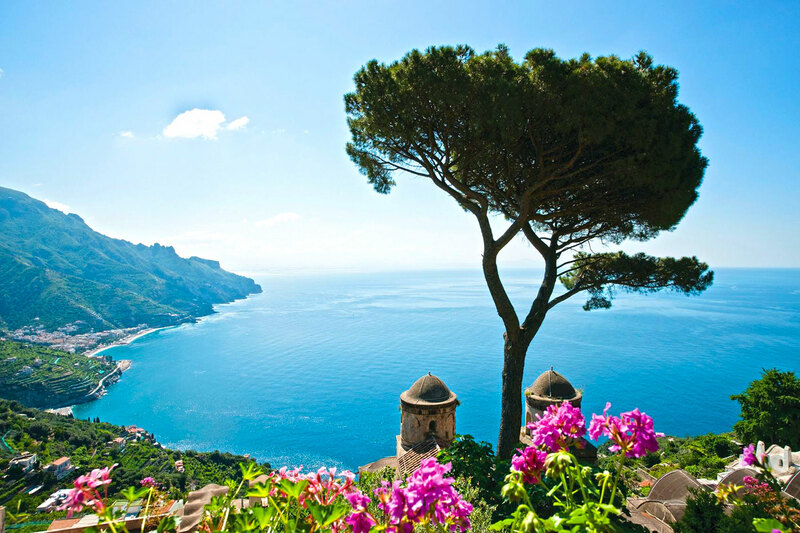 The Municipality of Ravello is located only a few kilometers away from Villa Sirena. This touristic attraction is 365m above the Tirrenean Sea along the Amalfi Coast. Walking through the characteristic streets of Ravello, it is not possible to miss the ancient Villa Rufolo in XIII century moorish style. Nearby also Positano and Amalfi. From Villa Sirena it is possible to reach Ravello by bus. 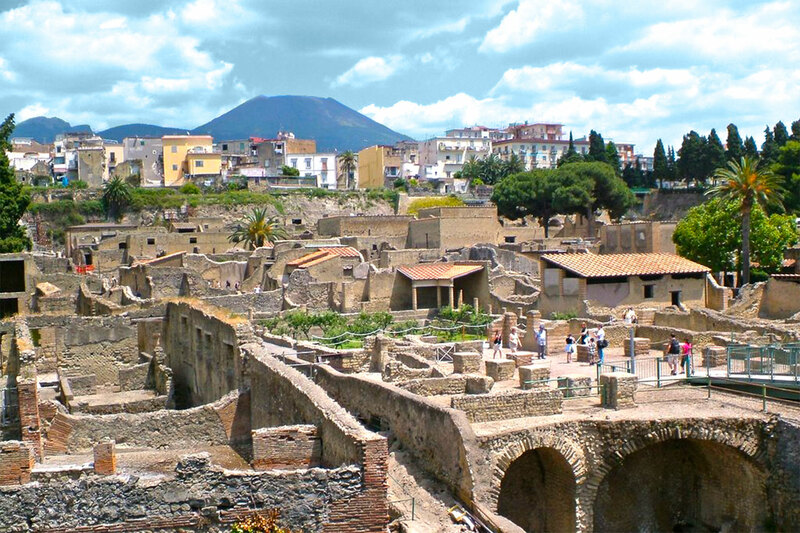 The ruins of Pompeii are easy to reach with only 30minuts train from Villa Sirena. The archeological site will take the guests on to a suggestive and touching experience between art and history in admiring what remains of the Vesuvuis eruption of 79dc. It is also possible to visit the Sanctuary of the Blessed Virgin of the Rosary of Pompeii. The Circumvesuviana is the train that connects Villa Sirena with Pompeii. After 40minutes train from Villa Sirena there is the city of Hercolaneum. 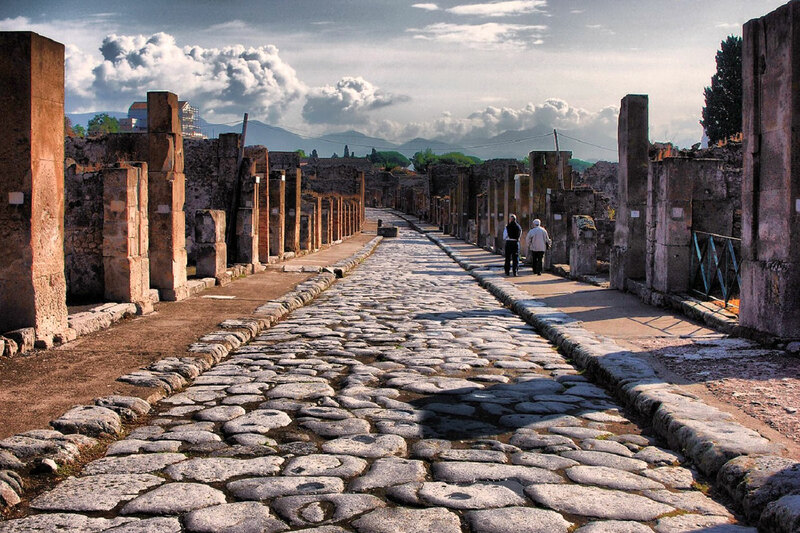 Here guests can visit the archeological site of the ancient roman city which, according to the legend, was born after Hercules and got destroyed by the eruption of the Vesuvius in 79dc. From Hercolaneum is easy to reach the crater of the Mount Vesuvius. The Circumvesuviana is the train that connects Villa Sirena with Ercolano.